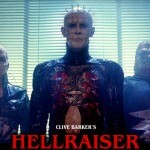 A new entry into the Hellraiser series of films is coming soon. It’s called Hellraiser: Revelations (aka Hellraiser 9) and according to buzz, it looks like it’s on track to become the red headed stepchild of the franchise. Only a few reviews have trickled out since a special screening back in March. 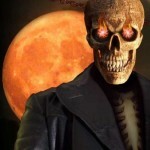 Dread Central has rated it zero, and this guy wasn’t too fond of it either. The plot of Hellraiser: Revelations deals with two idiot teens who go to Mexico and get sold the infamous puzzle box, which as you all know by now opens up a gateway to hell where you are greeted by monsters called Cenobites before you are ripped apart by chains. Are we all up to speed? After 9 films, we hope so! Hellraiser: Revelations was written by Gary Tunnicliffe and directed by Víctor García (Return to House on Haunted Hill , Mirrors 2 ). It stars Steven Brand, Clyde McKnight, Sebastien Roberts, Sanny Van Heteren, Tracey Fairaway, and Devon Sorvari. Returning characters (or their facsimiles) include Pinhead (played this time around by Stephan Smith Collins, replacing Doug Bradley), Chatterer (a female version, played by Jolene Andersen), and the transient who sells the box (Daniel Buran – we guess he is playing a version of the puzzle guardian character). Hellraiser: Revelations is out in theaters this week in a limited run (probably paired with Zombie Diaries 2 ). It is also available as Video-On-Demand. It will be released on Blu-ray and DVD on October 18, 2011. You may be wondering why the Weinstein Company would release a sequel of apparently low quality (even when compared to the awful sequels prior – Hellraiser: Hellworld , anyone?) The reason – believe it or not – involves Disney. It seems that the Hellraiser rights belonged to Dimension post-Hellraiser III . Disney snapped up Miramax (Dimension was a part of that) but later on the Weinsteins split from Miramax, taking a bunch of properties with them (Hellraiser, Halloween, Children of the Corn, Scream). The catch is that a Hellraiser movie needed to be developed so that they could retain the rights, otherwise it could have reverted back to Disney. 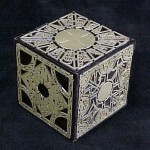 So the cynical answer is that Hellraiser: Revelations only exists for legal reasons. Therefore, it would make sense if the film was a throwaway – mere filler until such time as the planned big-budget remake can get underway.